Nothing feels more like home than your city's skyline. Take in the view of the Penobscot Building, the Fisher Building, and so many more iconic buildings with this short sleeve tee. 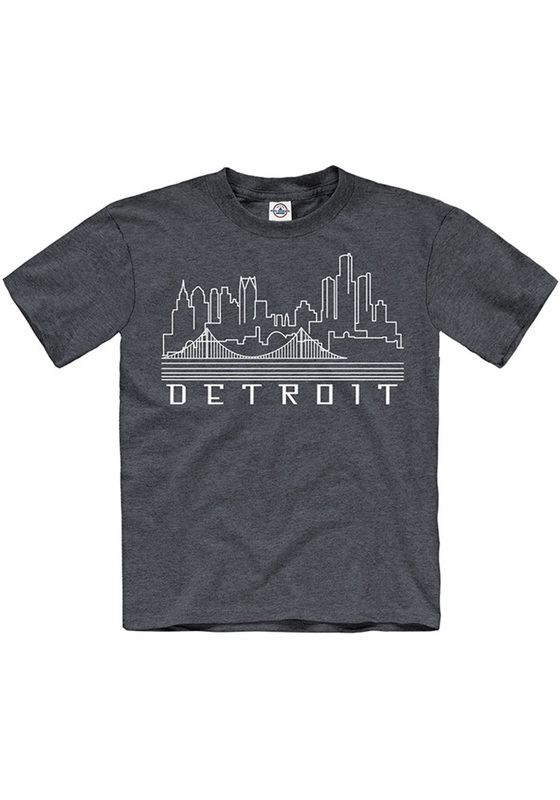 This youth navy tee features a screen print of the Detroit skyline in glow in the dark ink on the front center chest.